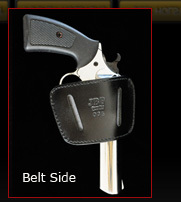 and the outside of the holster, maximizing life expectancy and durability. cross draw, strong side draw, or in the small of the back. 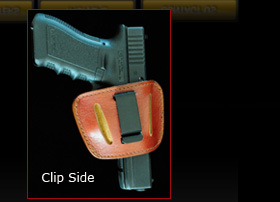 Holster come with the belt loop & clipside in black or tan.